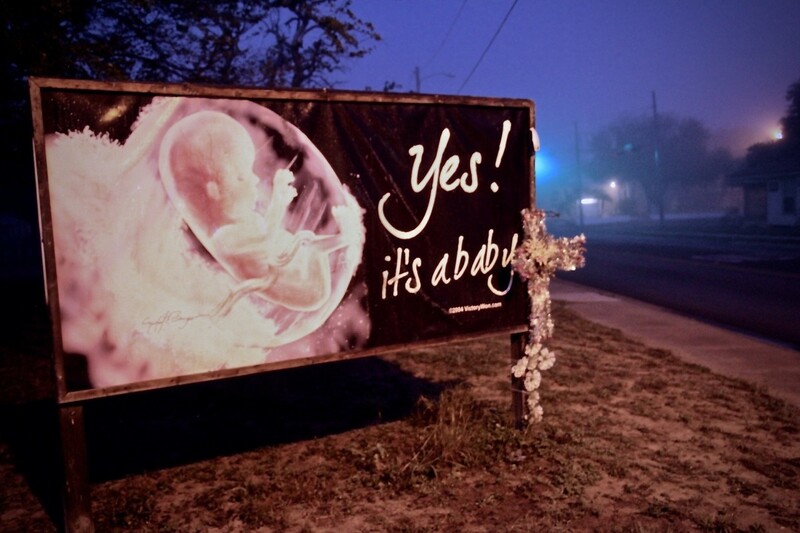 A billboard in McAllen, Texas, in front of Whole Women&apos;s Health. Among the 28 states considering abortion bans in the first four months of the year, a handful of the most conservative are aiming to ban abortion at just six weeks&apos; gestation—when an embryonic "heartbeat" (doctors use the term cardiac activity, and embryos don&apos;t have hearts so much as tissues that will become the heart) can be detected. 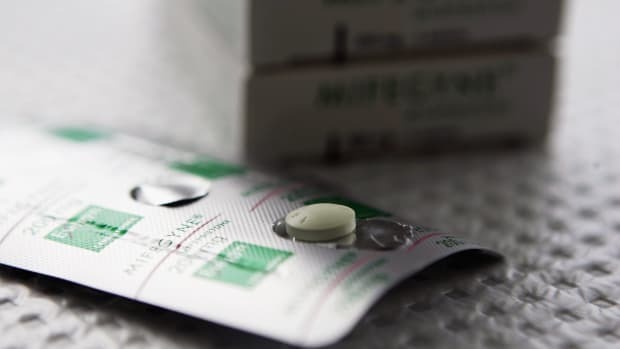 Abortion rights groups say the measures are so extreme that they effectively amount to outright abortion bans, since few women who want abortions would be able to access them before the cut-off, or perhaps even know they&apos;re pregnant. At issue isn&apos;t whether the laws are constitutional under Roe v. Wade (all are expected to be struck down by lower courts, as Iowa&apos;s 2018 six-week ban was struck down in January), but whether they will advance to the Supreme Court and upend the very framework established in Roe that allows for elective abortion until fetal viability. The bills essentially argue that viability is the wrong yardstick, and an embryonic (most wrongly use the term "fetal") "heartbeat" is the right one. This argument is a short intellectual stopover on the path to throwing the yardstick out altogether and simply banning abortion—both Texas and Alabama lawmakers have proposed bills that ban it outright. "What we&apos;re seeing is exactly what we in some ways had anticipated with [Justice Brett] Kavanaugh getting on the Supreme Court," says Adrienne Kimmell, vice president of communications at NARAL Pro-Choice America. Kavanaugh&apos;s appointment solidified the court&apos;s conservative majority, and in his mixed record so far, he&apos;s voted to block states from efforts to defund Planned Parenthood, and issued an unusual dissent in the court&apos;s decision to block a Louisiana anti-abortion law. Elizabeth Nash, senior state issues manager at the research non-profit the Guttmacher Institute, says the Supreme Court provides the frame for the entire legislative session. "Everybody sees the same tea leaves," she says. The six-week bans stand out as "extremely" worrying even among an eight-year stretch of anti-abortion laws "flying through state legislatures," she adds. "This is feeling like a very, very critical year." With Roe under increasing threat, progressive state legislators—led by New York and its Reproductive Health Act—are pushing to protect abortion rights in 11 states, such as New Mexico, Vermont, and Illinois, and other states are repealing old anti-abortion laws, according to Guttmacher&apos;s recent analysis of state policy. Congressional Democrats are pushing for greater abortion funding and access in a Medicare for All proposal in the House of Representatives and via the EACH Woman Act, which would require federal government medical insurance programs to cover abortion and bar states from blocking the inclusion of abortion coverage in private plans. Democrats have also demanded that the Department of Health and Human Services explain its reasons for banning abortion referrals under the Title X family planning grant. In GOP-controlled states, six-week bans "have essentially skyrocketed," says Nash, who is one of the authors of the Guttmacher analysis, which deems the bans "radical attempts to ban abortion." 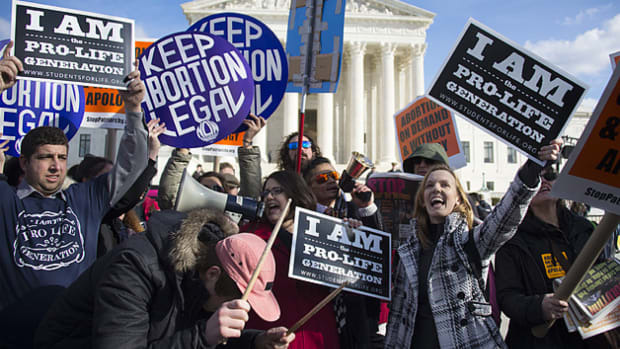 Steven Aden, chief legal officer for the pro-life legal and legislative organization Americans United for Life, sees a "tremendous amount of political will in the states to protect life and to protect women." 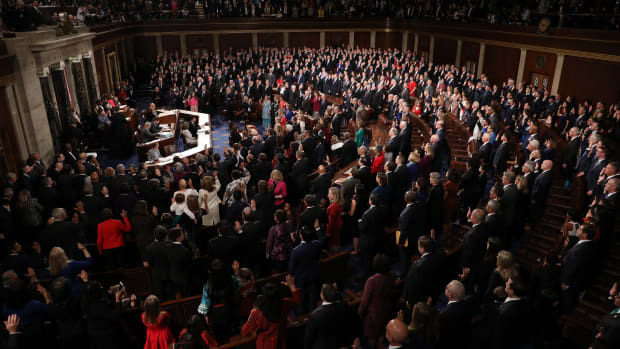 This year rates as one of the biggest years for pro-life legislation, he says, and despite progressive efforts to fight expanding anti-abortion laws, "the truth is, most of the action is on the pro-life side." 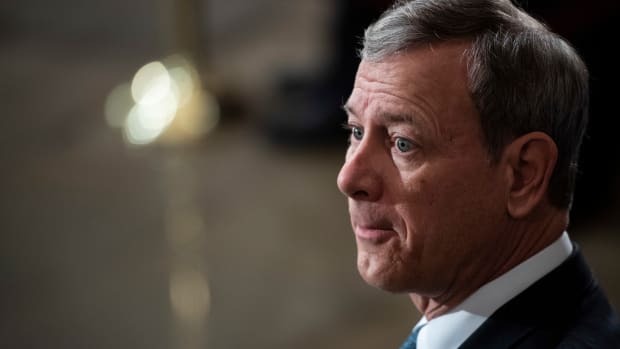 He sees the six-week bans as sources of "political clout" for lawmakers who want to be seen as embodiments of the pro-life cause, despite the fact that they&apos;re more likely to die in legal battles and "result in a six-figure payment to Planned Parenthood&apos;s lawyers." And he argues that, in some cases, Republicans are the ones responding to "very extreme pro-abortion" efforts on the left, namely out of New York and Virginia. While that&apos;s unlikely to be the case for six-week bans, which follow a long trajectory of red states enacting more and more restrictive abortion laws year after year (in states like Louisiana, lawmakers might also feel they&apos;ve run out of restrictions, Aden admits), it&apos;s likely be true in other cases. New York&apos;s law, which allows abortions through the third trimester in the absence of fetal viability or when the woman&apos;s health is at risk, drew widespread condemnation from Republicans for "legalizing infanticide," as Aden put it, a view PolitiFact deemed false since the bill does not change existing laws requiring care for newborns. The backlash launched the GOP&apos;s push for a "Born-Alive Abortion Survivors Protection Act," and a similar bill, which would fine doctors and charge them with a third-degree felony if they failed to try and save an infant&apos;s life after an attempted abortion, has passed the House and Senate in Texas. Meanwhile, the Senate Judiciary Committee heard testimony Tuesday morning on a 20-week abortion ban, which directly challenges the Roe viability framework on the basis of highly contested claims over fetal pain (which states have also relied on to enact 15-week bans). 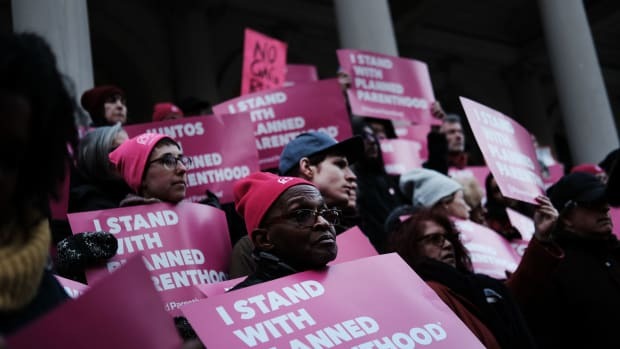 The Senate&apos;s effort is a continuation of a similar push last year that was met with fierce opposition from the American College of Obstetricians and Gynecologists, which said lawmakers were ignoring scientific evidence. Dr. Daniel Grossman, director of the research group Advancing New Standards in Reproductive Health at the University of California–San Francisco, says the best available research shows fetal pain is anatomically impossible before 26 to 28 weeks gestation. 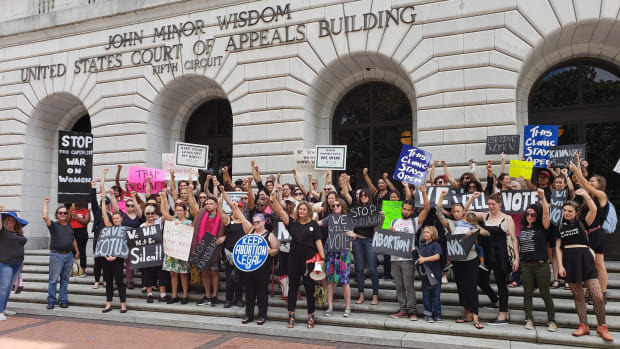 The legal fate of 2019&apos;s onslaught of abortion laws could take years to unravel—the Supreme Court is only now considering a Louisiana law passed in 2016. Much closer on the horizon is the 2020 election, and the question of how voters will respond to the promise, or threat, to end abortion. The political ramifications are already being being felt in Georgia, where Kimmell says backlash within the state, and from celebrities and the film industry has stalled the governor&apos;s signature (he has until May 12th to sign the bill into law). And she says that a slew of recent events—Hillary Clinton&apos;s win of the popular vote in 2016, the Women&apos;s March movement, the wave of pro-choice women elected in the 2018 mid-terms, and the battle over Kavanaugh&apos;s appointment—indicate an electorate keen to fight pro-life legislation. She underlines "the harm that these bans do and inflict upon women and families" and adds, "the public is overwhelmingly with us." In 2014, NARAL polled 800 registered voters across the country and found that 68.7 percent believe abortion should be legal or that the government shouldn&apos;t prevent women from making the choice to have an abortion. Kimmell says NARAL is finding a particularly receptive audience among suburban women—a demographic that could be especially key as Democrats seek to solidify support in suburban districts. Aden sees the opposite. Democrats pushing pro-choice laws this year are "Johnny come latelys," he says. "They recognize so much has happened at the state level on the life issue in the last few decades that they&apos;ve finally woken up and tried to shore up the abortion law in states where they can do that, but the bottom line is that they&apos;re only reinforcing the status quo. The pro-life moment is moving the ball down the field." "And if they think this is a wedge issue for 2020 election, I think they&apos;re wrong," he adds, "and I think they&apos;ll suffer the consequences at the polls." Republicans have long viewed the pro-life agenda as crucial to turning out their base (it was a cornerstone message for Donald Trump&apos;s 2016 campaign and is shaping up to be the same in 2020), but pro-choice groups including Emily&apos;s List contend that recent elections prove it can motivate Democrats too. And it&apos;s not clear that all conservatives agree with ending abortion. In the NARAL poll, 42 percent of respondents considered themselves conservative or somewhat conservative, and they made up at least 10 percent of the pro-choice respondents. In states like Louisiana, where even most Democrats campaign as pro-life, a 2016 poll found that, while 55 percent think abortions should be illegal in all or most cases, 40 percent still think it should be legal in all or most cases. Nationally, Gallup polling shows Americans&apos; views have remained steady for decades, with 79 percent saying abortion should be legal in at least some circumstances as of 2018. *Update—April 12th, 2019: This story has been updated to reflect the fact that Ohio&apos;s governor has now signed the state&apos;s six-week abortion ban.